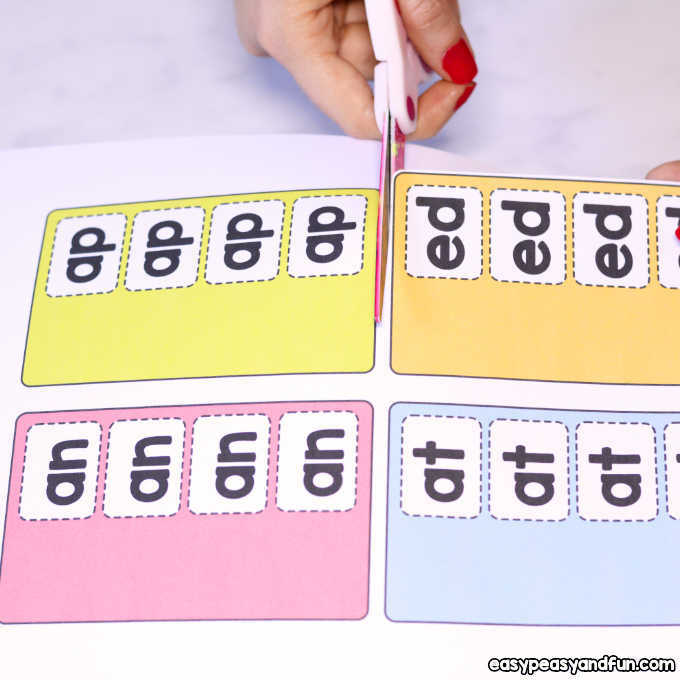 CVC and CCVC words are one of the first words read by kids so they are the building blocks to a wonderful world of literacy. 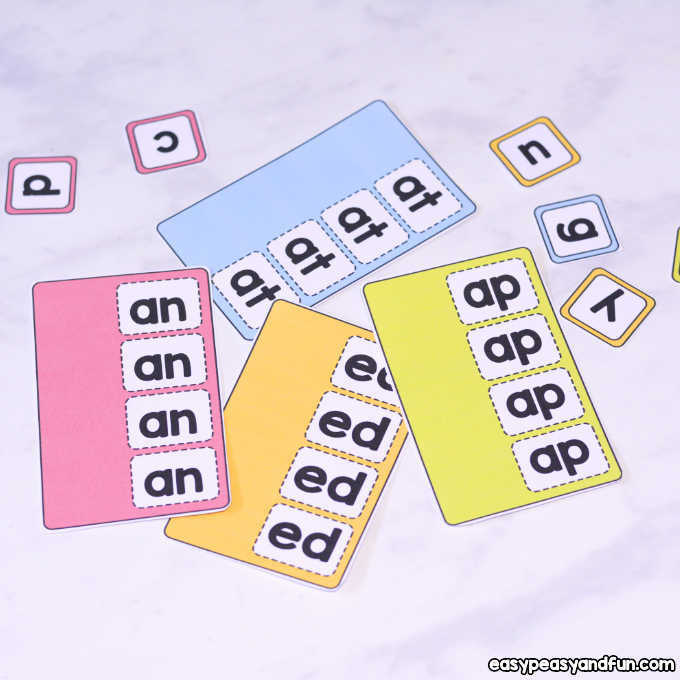 We have an easy CVC words activity to share with you today, one that can be used in many ways so it makes a great teaching aid. 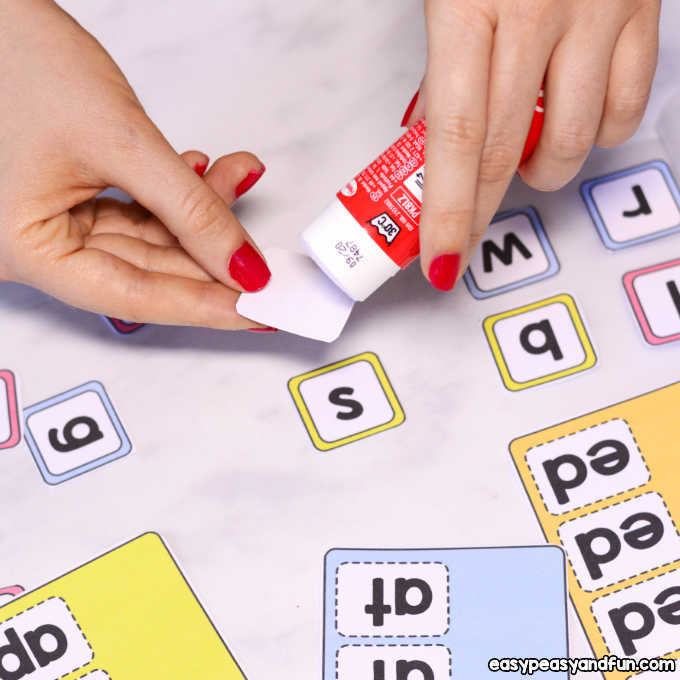 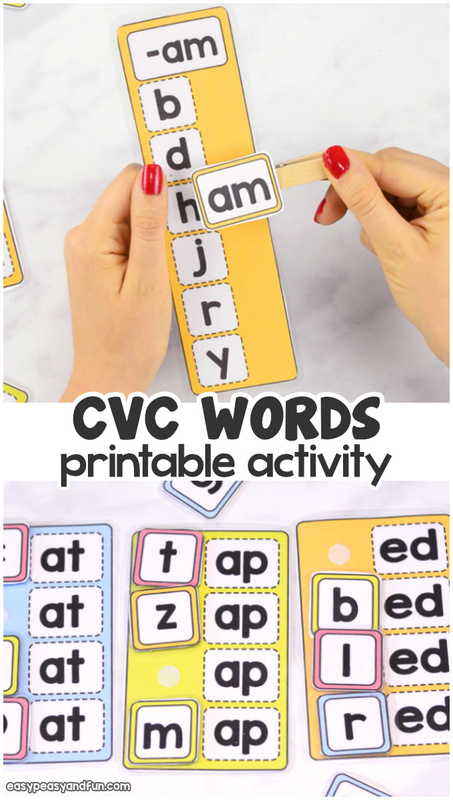 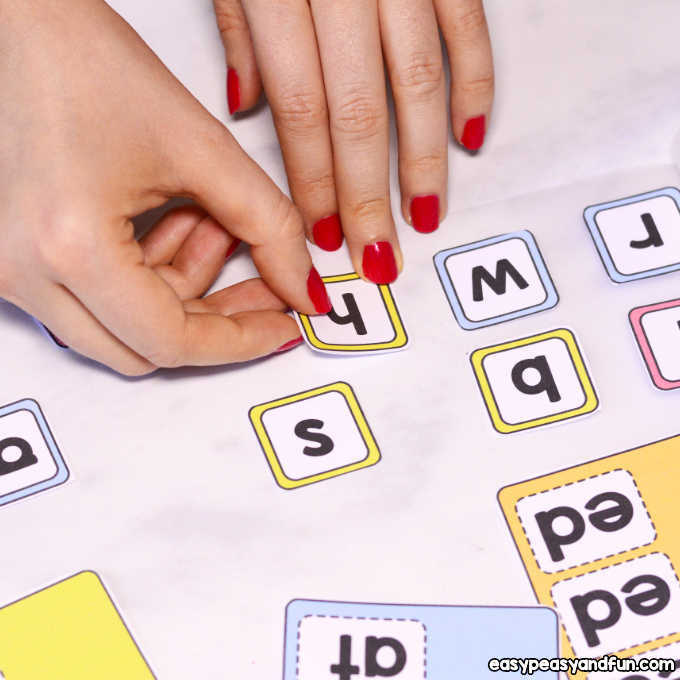 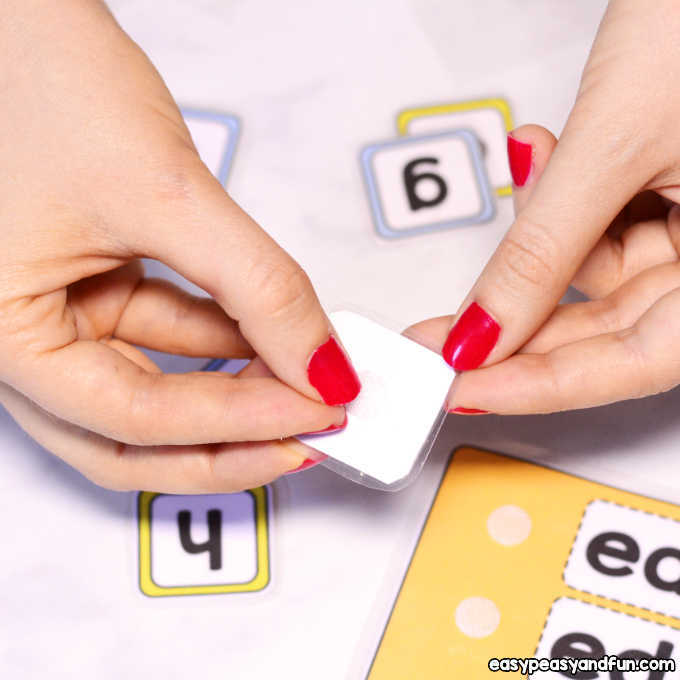 This printable CCVC and CVC words activity will make learning about these words fun as kids get to build and explore the words on their own. 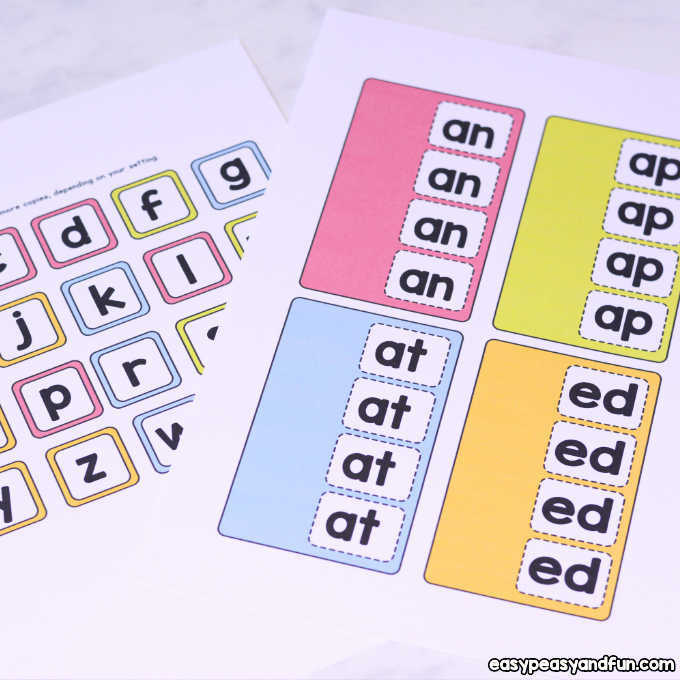 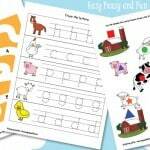 You can use these printables as clip cards (with clothespins) or use velcro dots (or both) and have the kids build the words. 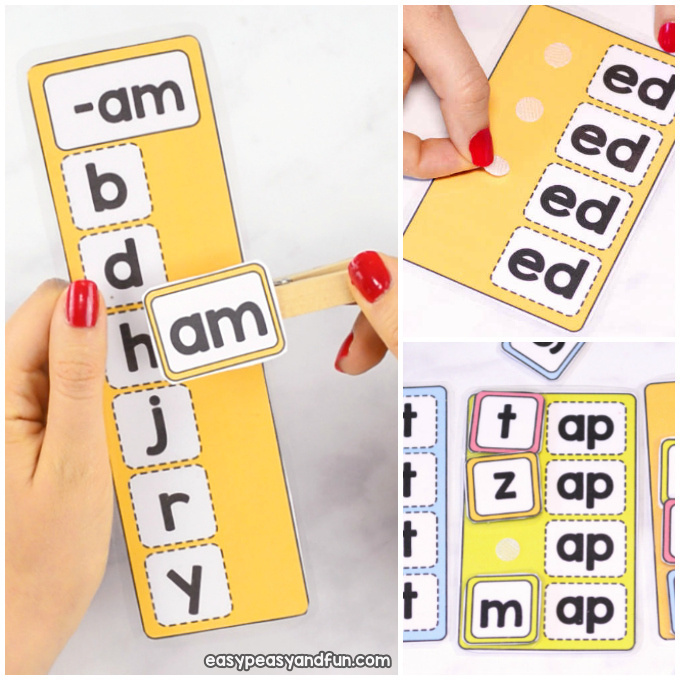 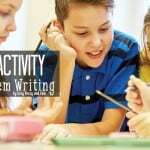 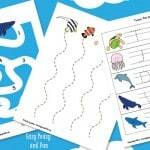 They can be used independently or you can also offer the kids a sheet of paper where they write down the words they have build. 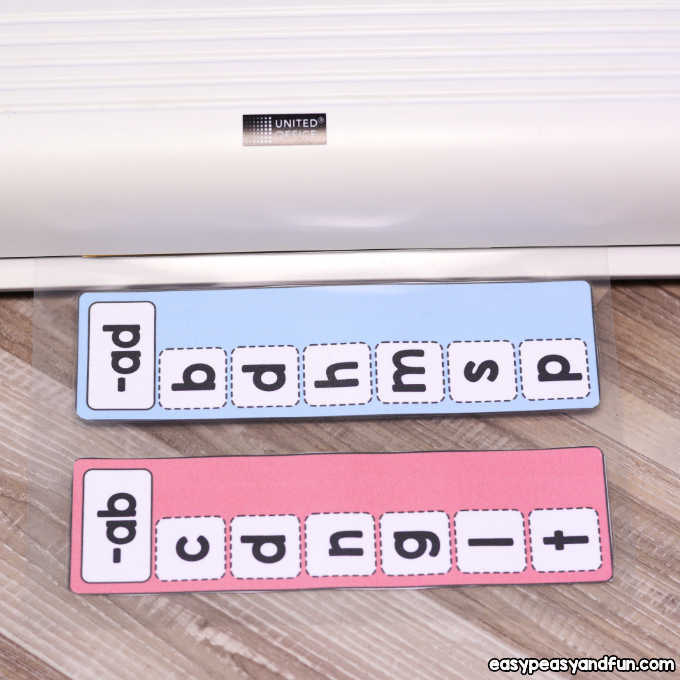 When laminating small parts, we recommend you add a dab of glue on the back of them before placing them in the laminating pouch. 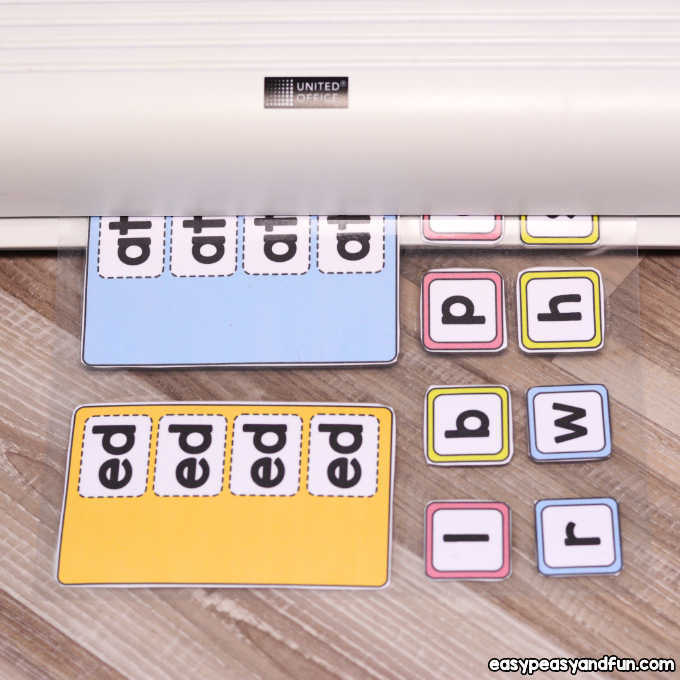 This will make them hold their place when laminating. 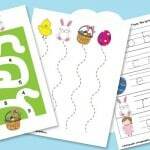 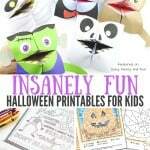 With both of the activities, you can use them with clothespins or with veclro dots. 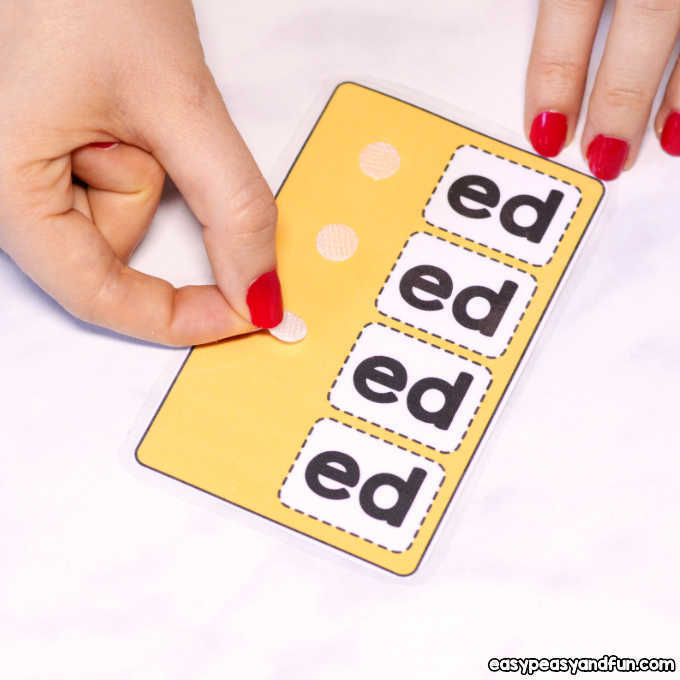 We made the “clip cards” with velcro dots. 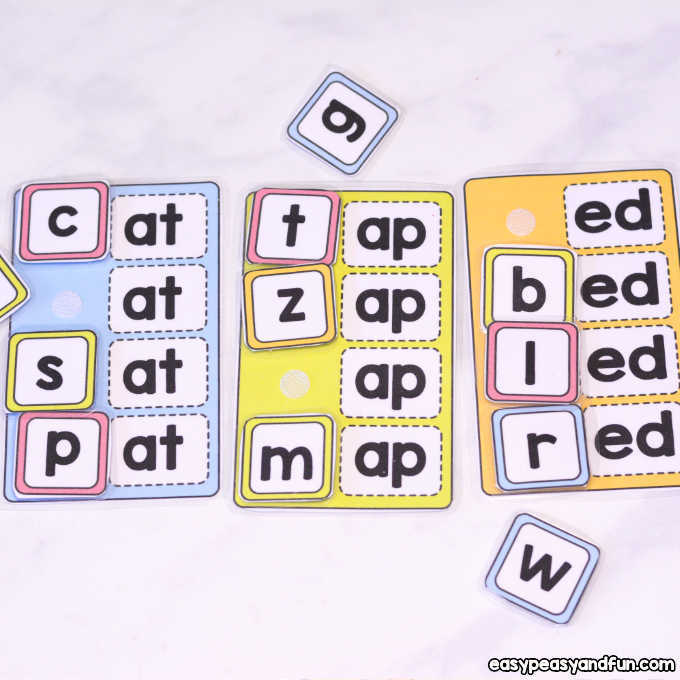 The word ladders were made with clothespins. 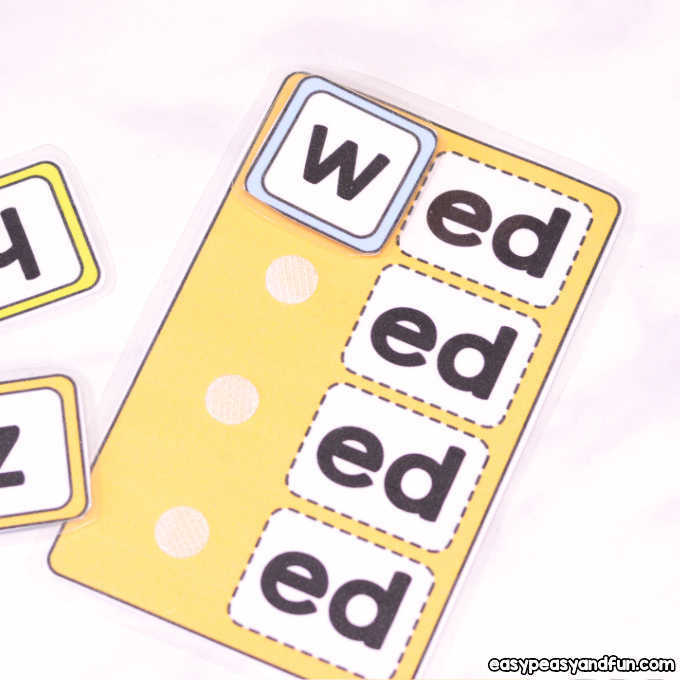 Have the kids read the words aloud as they move the clothespin.